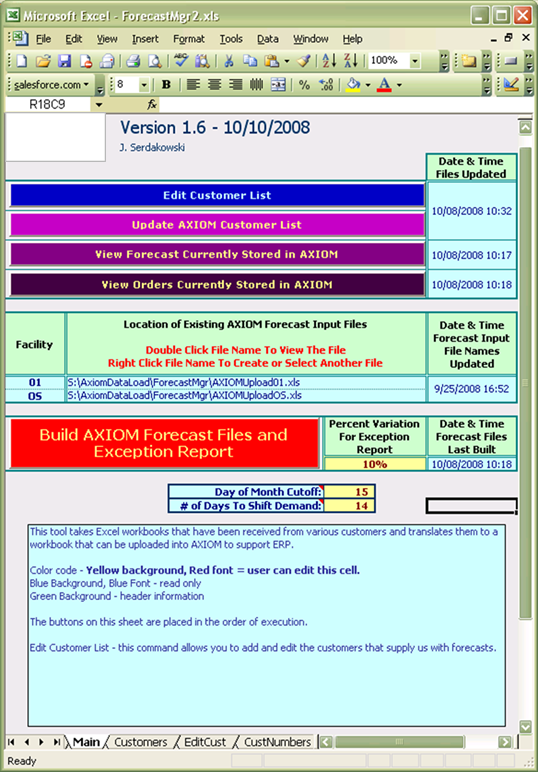 This solution was prepared for C&M to help them manage customer production forecast and uploading these forecasts into AXIOM. 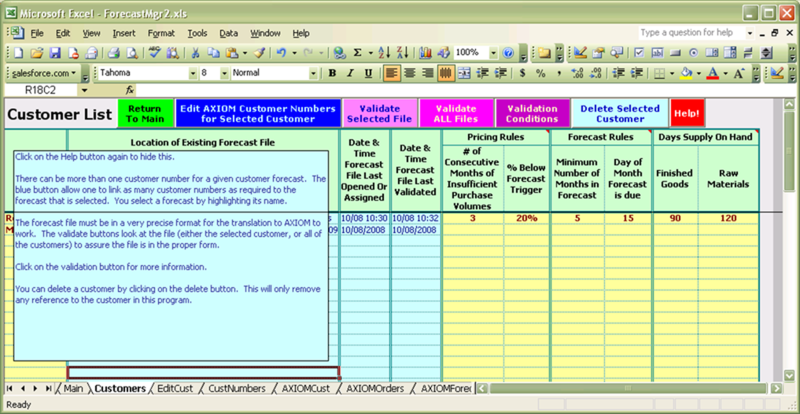 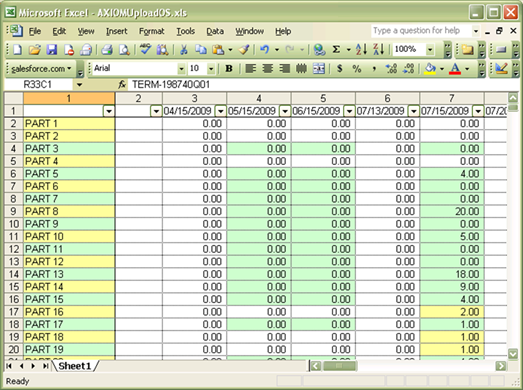 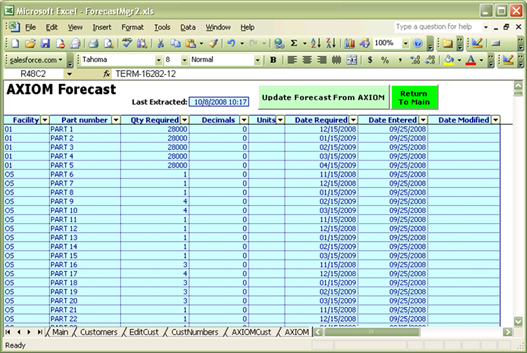 AXIOM's MRP includes forecasting, but you are left to your own devices to prepare the text file required by AXIOM to input forecast information. 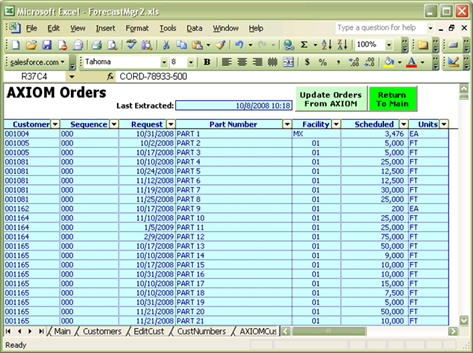 The customer screen looks like (note how the integrated Help screen is currently covering C&M's confidential customer list).